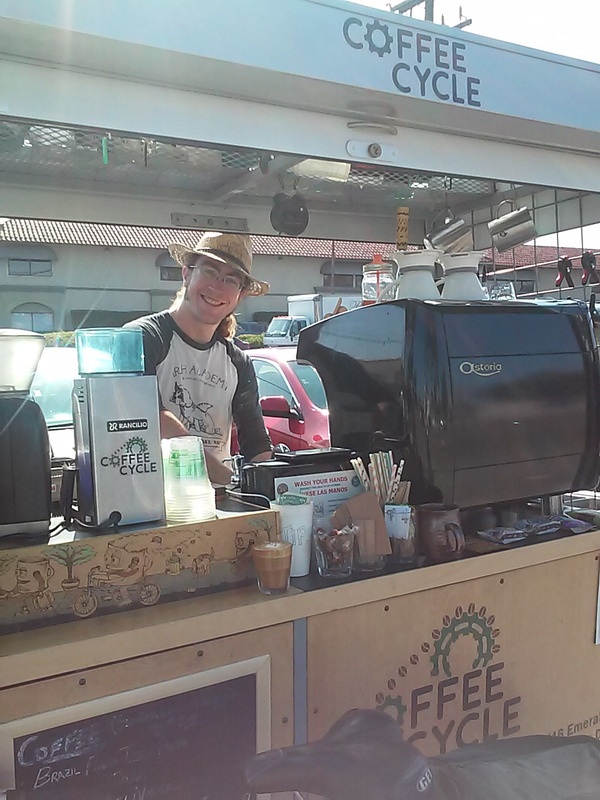 “Waste time together” is the slogan of Scrimshaw, a new coffee shop in the SDSU El Cajon Blvd. business district. But they’re not wasting time with their wonderful coffee, they’re working hard to give us this place to, as they say, waste time together. 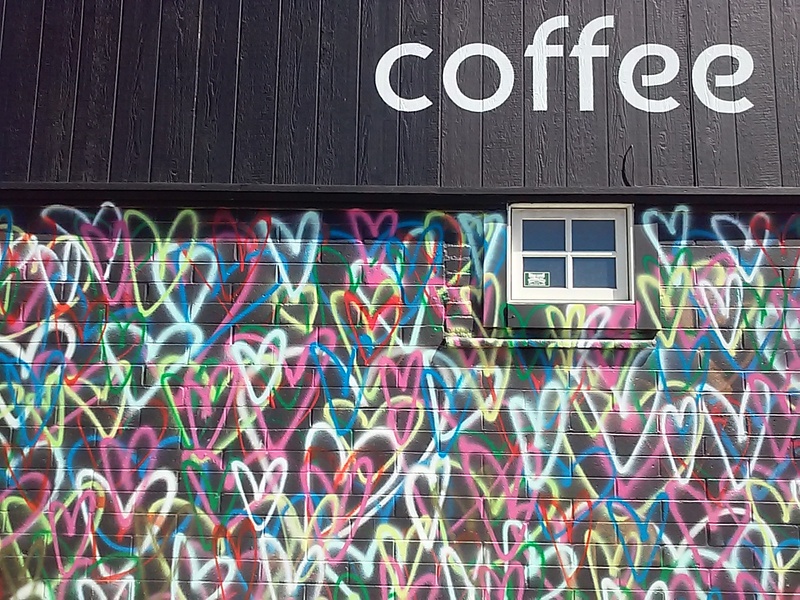 In other words, it’s a wonderful coffee shop to hang out with friends. I guess one could call that wasting time together. I just call it fabulous, thanks to creators Roger and Will. 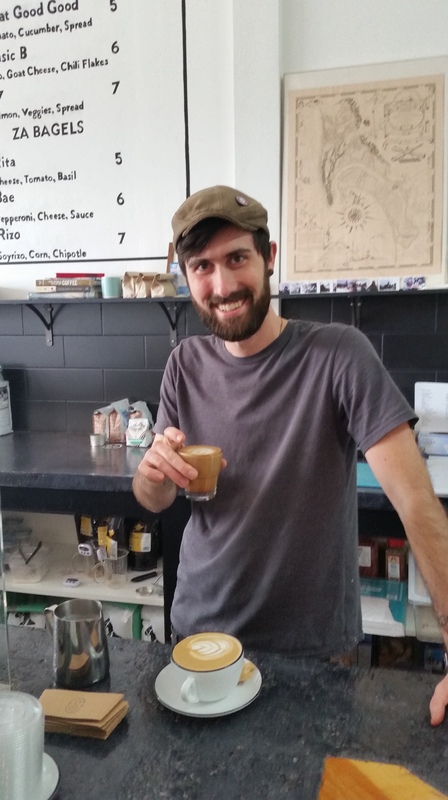 Owner Roger made our Salted Maple Latte. Right now their coffee beans are from Dark Horse Roasters (http://www.darkhorsecoffeeroasters.com/), but they are working on a signature roast of their own. 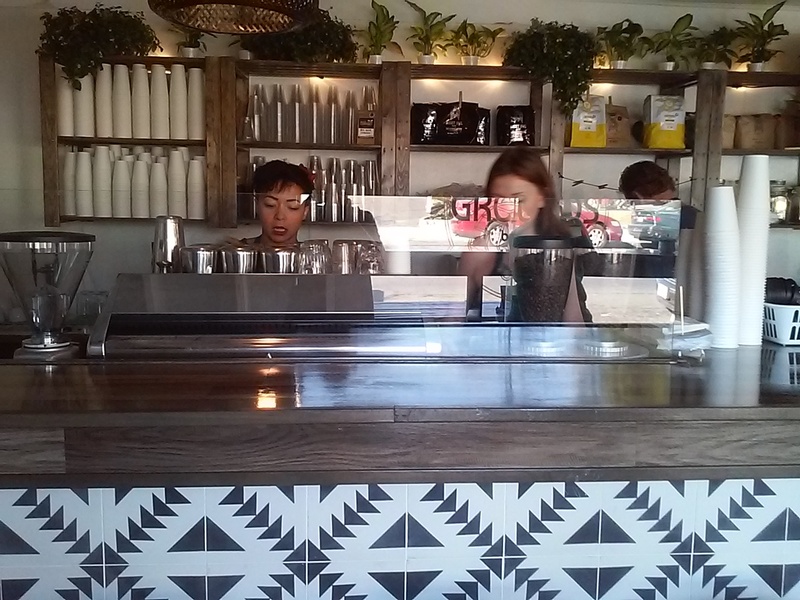 They also offer some coffee drinks with Modern Times Coffee beans (https://www.moderntimesmerch.com/collections/coffee/coffee). We enjoyed a seasonal Salted Maple Latte…what a treat! They’ll have a new seasonal drink in December. Our delicious Salted Maple Latte…notice the handsome piece of wood that was selected & crafted for a cafe counter top. 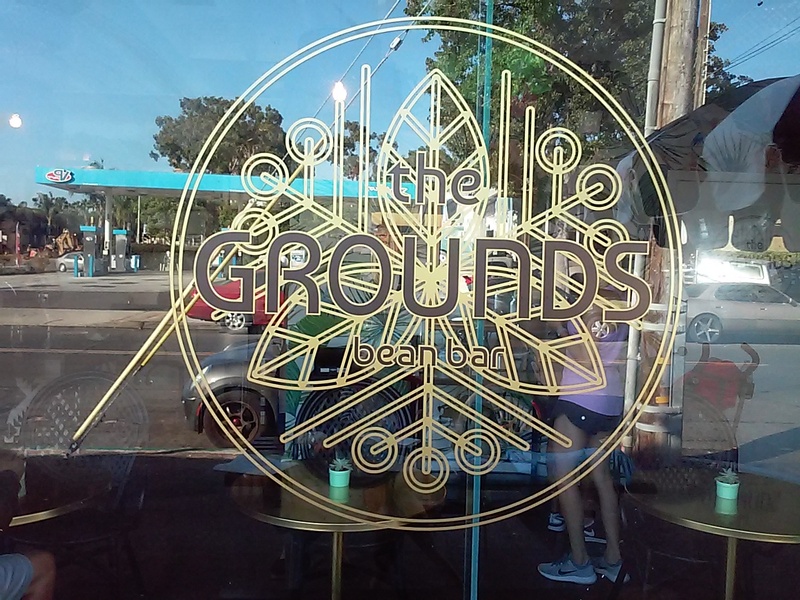 They offer scones, donuts, bagels, & even Pop-Tarts to enjoy with their fabulous coffee. 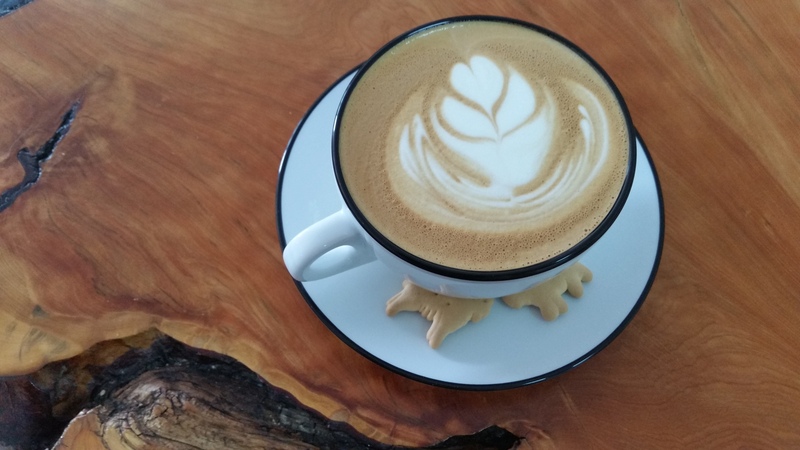 We got animal crackers with our latte…a fun treat! Scrimshaw Coffee is open 6am to 6pm daily. Parking is on the street without parking meters, but with a 2 hour limit. We found our pumpkin treat! 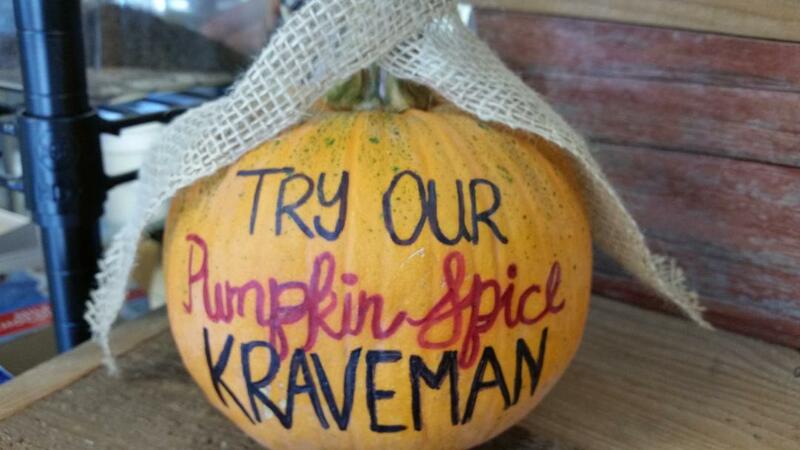 Our search for an October pumpkin latte took us to Local Krave and a new experience in lattes…a Kraveman! What’s a Kraveman, right? 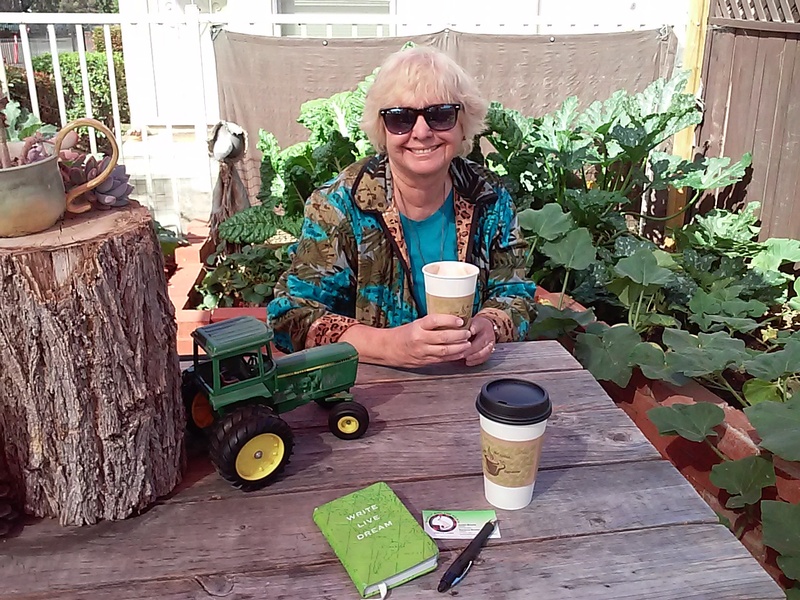 It’s a local entrepreneur’s creation of coffee, grass fed butter, organic coconut oil, honey, and cream. 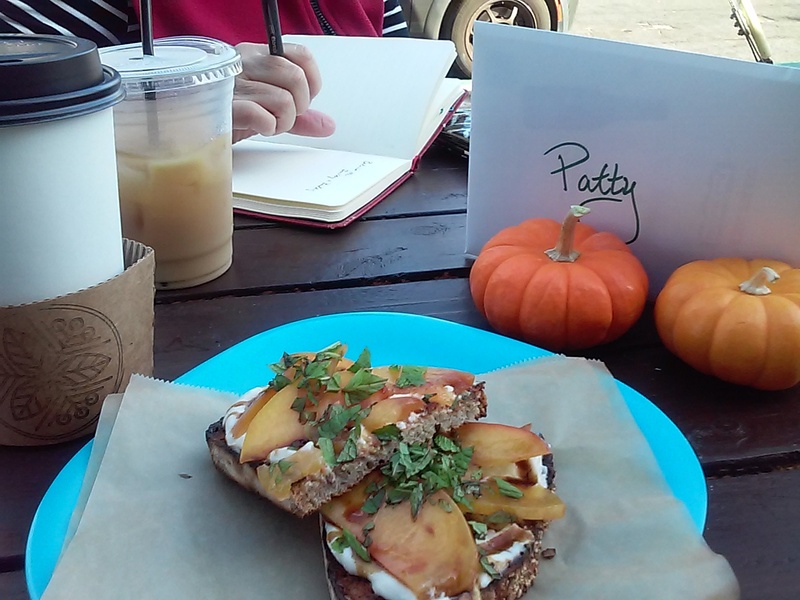 Pumpkin and spices were added to create our October treat and were we ever pleased! It was almost like a meal in a cup (and I’m sure it was healthy for us). 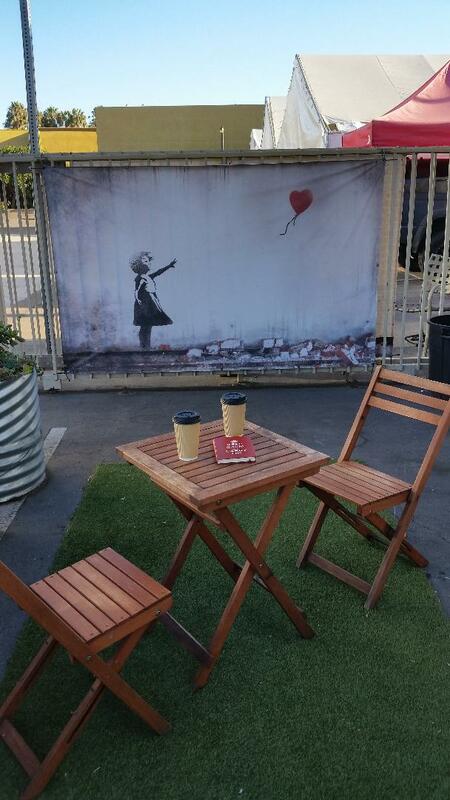 Pull up a chair at this Banksy banner. We took our drinks to the outside patio beside a Banksy banner. There are several more Banksy banners in the parking lot, which led me to wonder: How can they put expensive Banksy art work outside? 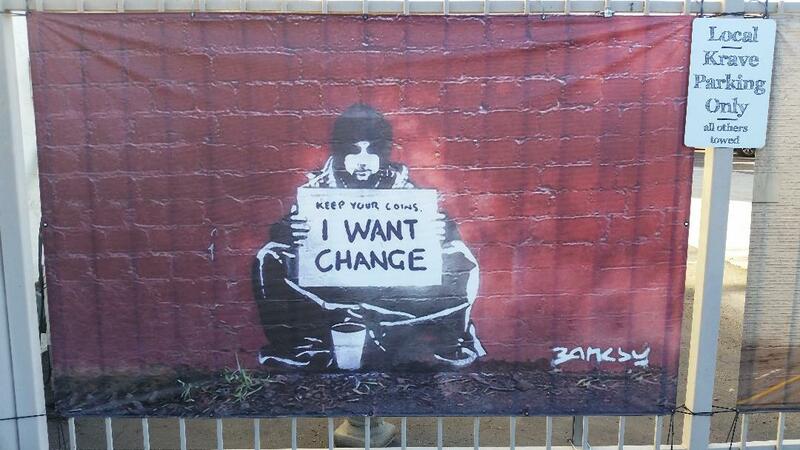 I’m glad I asked because I learned Banksy art is public domain! 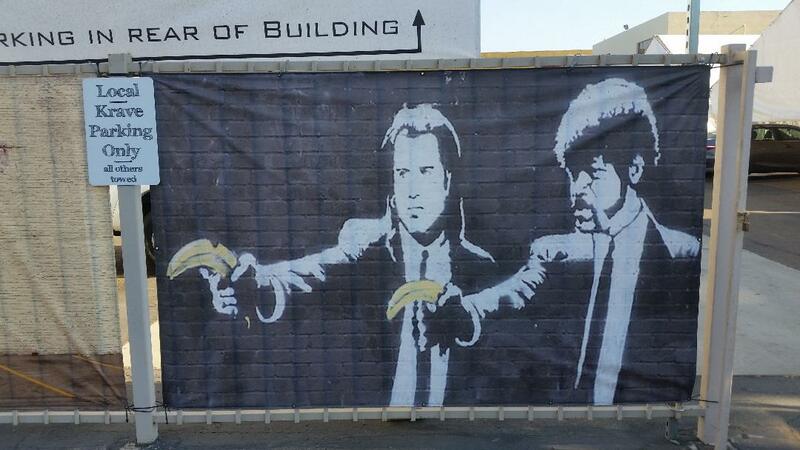 See some examples of his work at http://www.publicdomainpictures.net/hledej.php?hleda=banksy. 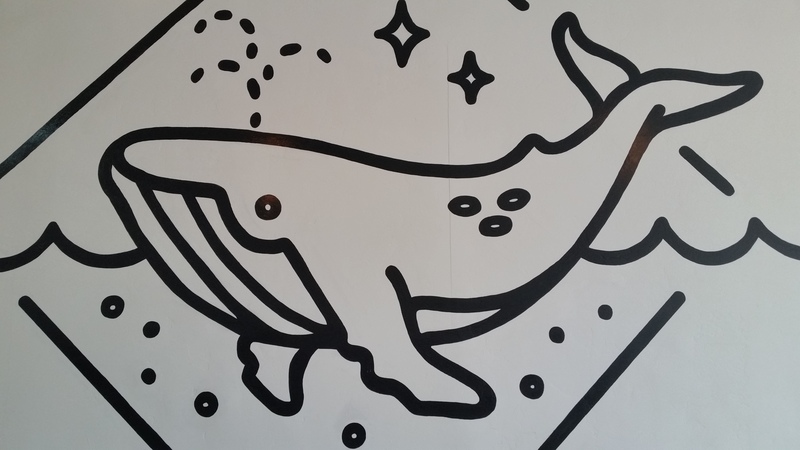 So now I’ve learned 2 things today: Kraveman drinks are delicious & Banksy art work is within my budget! Free parking in front of the Banksy banners. There’s more than a Kraveman drink here, though. 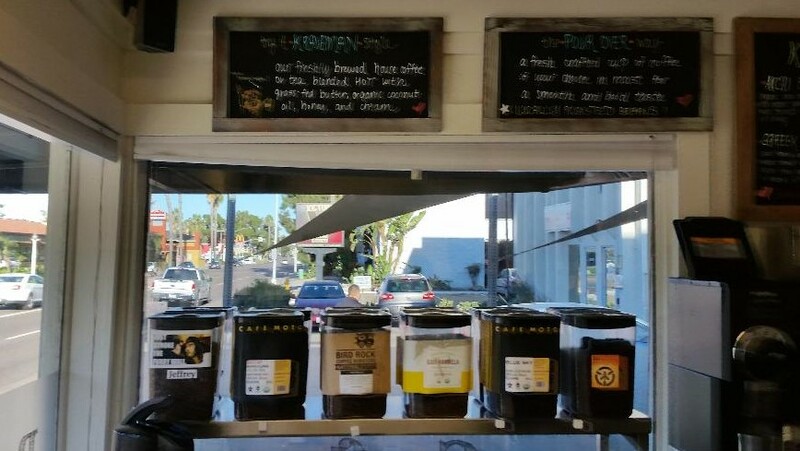 They believe in promoting local roasters so every day a selection of 4 local roasters are offered, plus their own roast called Dangerous. 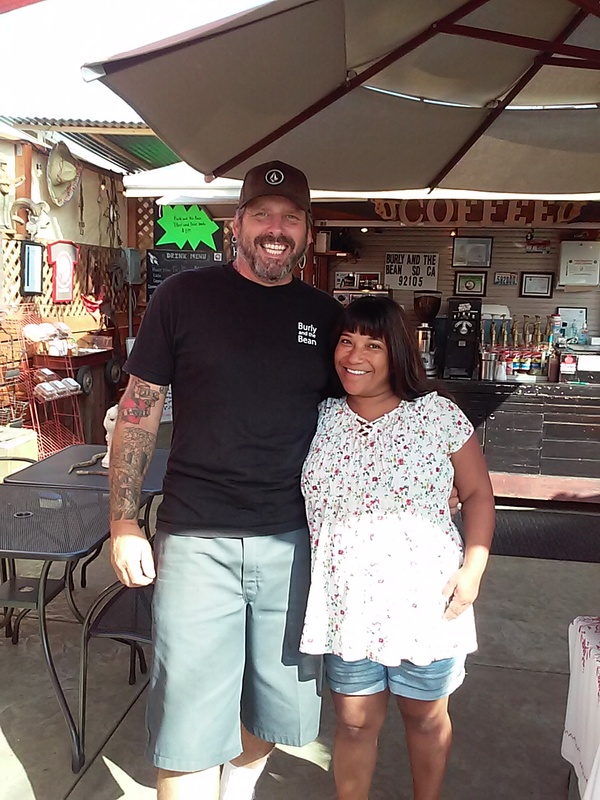 The day we came there were offerings from Dark Horse, Virtuoso, Cafe Moto, and Bird Rock. Pick one and they’ll do a pour over for you. They’ll also sell the beans from any of the roasters represented that day. 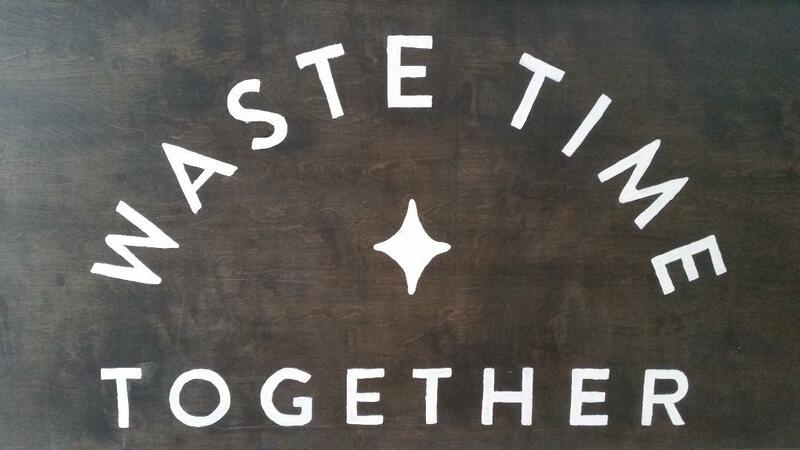 If you’re hungry they offer Belgian waffles, breakfast sandwiches, and acai bowls. But come by noon as they close at noon every day. Opening times are 6:00am Mon.-Fri. and 8:00am Sat. and Sun. From noon on they are busy making ice cream and sorbets for Na Pali Coast Frozen Organics, although not sold here. I found mine at Grant’s Market in South Park, but it’s also available at Jimbo’s and other local markets (see where at https://www.napalifrozenorganics.com/). A look at the line-up of local coffee offered the day we were there. You can read the Kraveman recipe above (if you have good eyesight, that is). 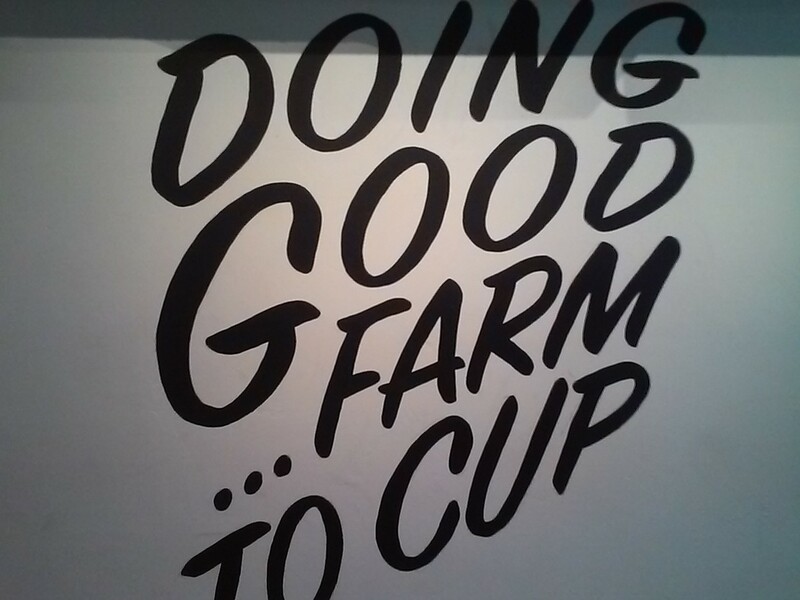 Their philosophy is boldly announced on the wall of OB Beans. 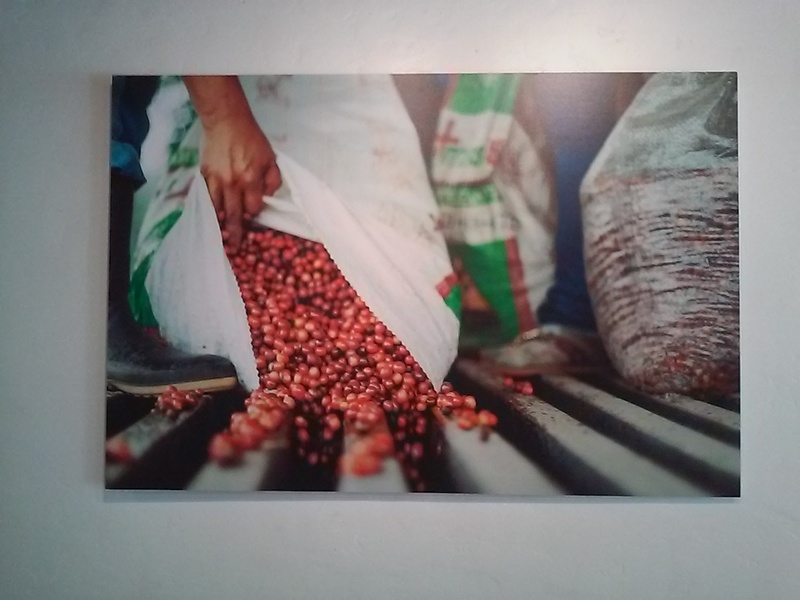 Photos of their beans being picked, purchased, and processed decorate the walls. 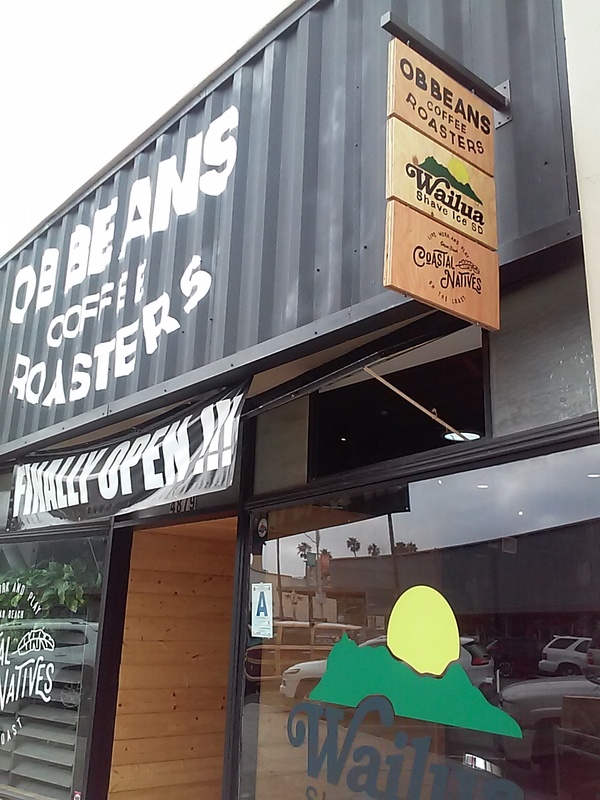 Photos of their farm to cup steps line the walls, along with a piece of the shipping container that sent some beans from Central America to San Diego. Beans are roasted onsite, so the smell wafts through the space. 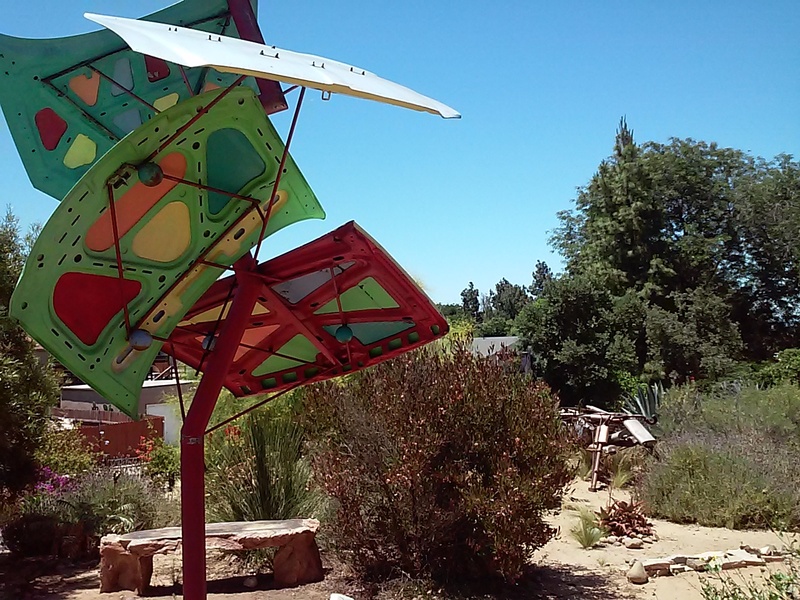 The repurposed furnishings suit OB’s environmentally conscious reputation. It’s dog and flip-flop friendly, as well. There are no parking meters on Newport, although there is a 2 hour parking limit. 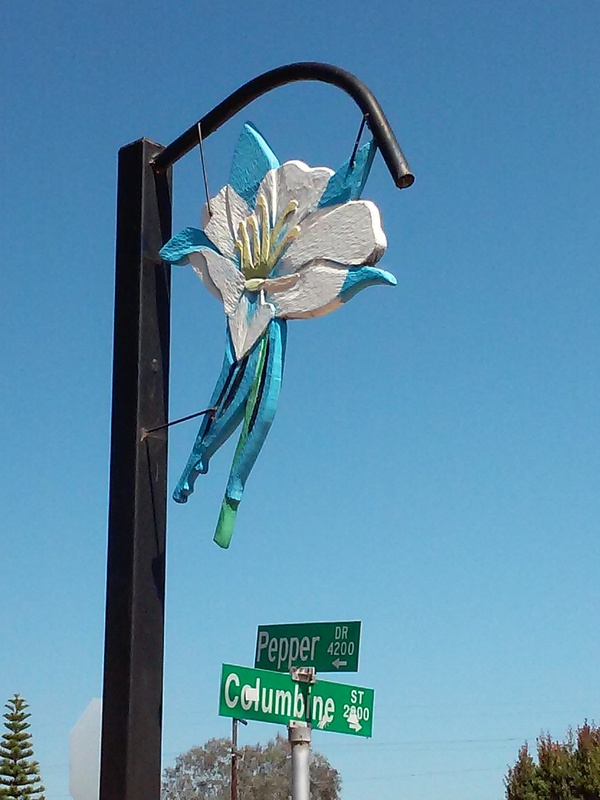 Wednesday from 4:00 to around 8:00pm is the OB Farmer’s Market one block west, so parking may be a little limited. The OB way to get here is by bike or foot! 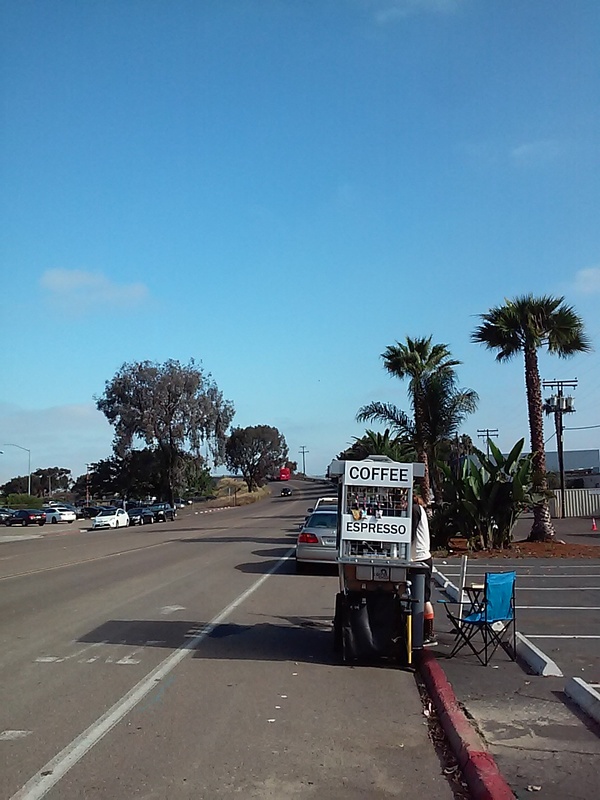 Look for this mini-trailer at 1401 Sunset Cliffs Blvd., just one block before Sunset Cliffs Park on your right. Surf Check, just one block north of Sunset Cliffs Park in Ocean Beach, gives you the opportunity to check the surf while enjoying your morning joe. 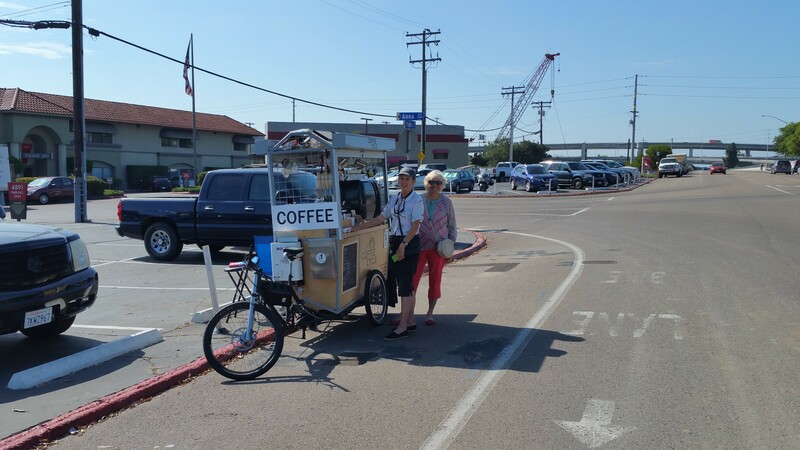 Look for the mini trailer in the parking lot of Cliffside Auto Clinic & swing in for a dark or medium roast cup of Bird Rock Coffee. 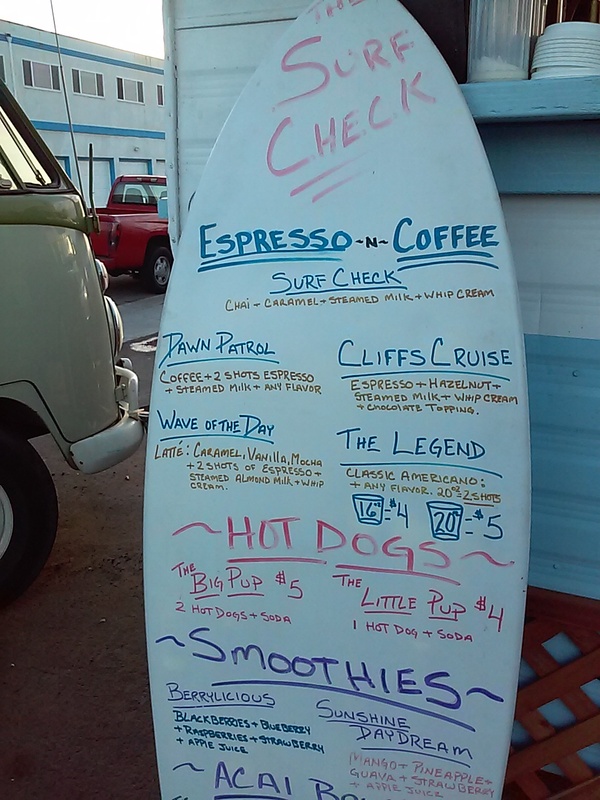 They also offer specialty espresso drinks like The Dawn Patrol & Wave of the Day (see descriptions on their surf board menu posted here). You can get a smoothie, acai bowl, and muffins, too. They open 30 minutes before sunrise so grab a steaming cup & head one block south to the stretch of park that runs along Sunset Cliffs Blvd. There’s usually plenty of free parking here. If it’s the end of your day there’s no place better to watch the sunset than from the top of the cliffs along Sunset Cliffs Blvd. 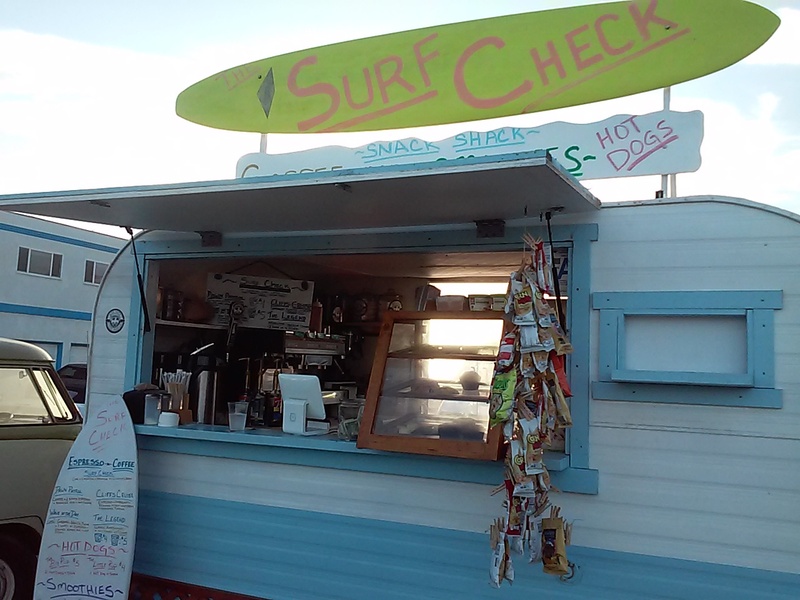 They offer hot dogs at Surf Check should you want dinner as you watch the sun go down. They’re open until 30 minutes past sunset. A deck should be coming soon. If you’re not familiar with the cliffs here, know that they are unstable so please heed the warning signs about getting too close to the edge. I volunteer at nearby Cabrillo National Monument, so I’ll give you the same advice I give to the guests: If you’re heading down to the beaches below I hope you’re as sure footed as a llama. And please don’t jump in…you don’t know what rocks are just below the surface of the water! See fabulous photos of Sunset Cliffs and comments from visitors at https://www.yelp.com/biz/sunset-cliffs-natural-park-san-diego. 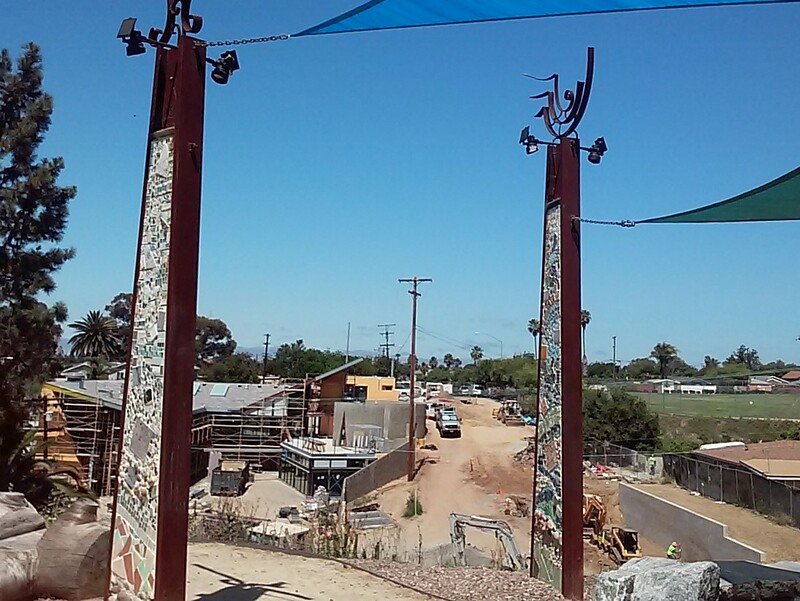 This is what the Ocean Beach Mainstreet Association has to say about Sunset Cliffs Park: https://oceanbeachsandiego.com/attractions/parks/sunset-cliffs-natural-park-and-point-loma-lighthouse. While you’re in the neighborhood, drive out to Cabrillo National Monument for more fabulous views of the ocean and downtown San Diego all the way to Mexico: https://www.nps.gov/cabr/index.htm.